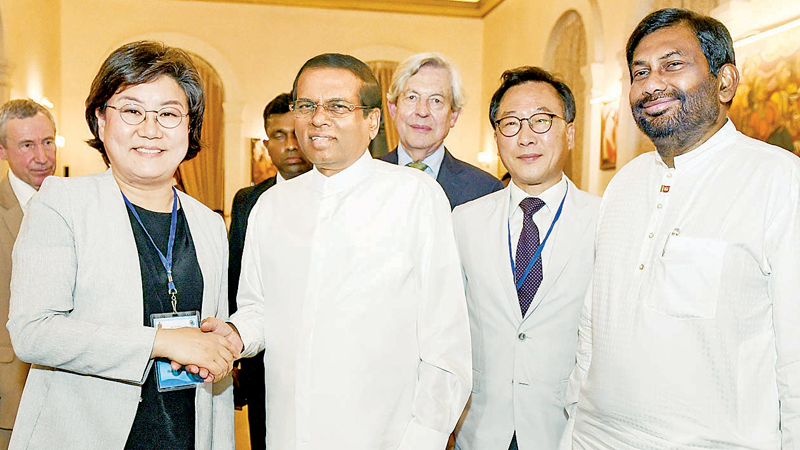 President Maithripala Sirisena held a banquet in honour of the delegates who attended the International Conference of Asian political parties at the President's House in Colombo Fort on April 6. A press release by the President's Media Unit stated that nearly 90 delegates representing political parties in Asia and Europe attended the (ICAPP) which began in Colombo on April 5. ICAPP, inaugurated in Manila, Philippines in 2000 is a forum of Asian political parties aimed to promote understanding and confidence among political parties of various hues, held annually to exchange views and promote co-operation among them. The President who exchanged views and pleasantries with the delegates recalled that he too had attended ICAPP conferences earlier in various parts of the world as a parliamentarian and it helped him to gain more experience.